On February 20, the Juniors expected to come to school to take their dredded ACT. Some students had been preparing all year, and were more than ready to take their test; others will never be ready. The day before the ACT, the SPPS school district declared a snow day, cancelling school and rescheduling the ACT. Most students were overjoyed by the news of not having to sit through the four hour test just yet. While others felt that it just prolonged their anxiety about the whole testing situation. The ACT was rescheduled for March 12, almost a month after the original date. Even though they all had different opinions, they all shared one same comment, that they were nervous. Hopefully, they will be able to calm their nerves before march 12, and do amazing on their ACT’s. Good luck juniors! Every winter, the senior class plans a field trip to go snow tubing. This year, it was planned for February 7th, but things didn’t go according to plan. Seniors showed up on Thursday with all their layers of clothing ready to go. The field trip cancelation was announced to everybody half-way through first hour. Due to a snow storm, SPPS high schools got an early release at 1:30pm. Some people were worried that if the seniors went on the field trip, the road conditions would get bad on the way back and the busses wouldn’t make it back by 1:30pm for students to ride the bus home. By that time, students had already found out about the cancellation and were very upset. I remember seeing a swarm of upperclassmen around the counseling office during passing time after first hour. Some seniors decided to leave after 1st hour. They were upset because most students didn’t bring their school work because they didn’t think they would need it. The field trip has been rescheduled for March 14th and everyone seems excited to still be going…given that we don’t have ANOTHER snow storm. Last year, Stan Lee passed away at the age of 95. He died after suffering from a cardiac arrest brought on by respiratory heart failure. Many fans of the Marvel Universe were heartbroken when they heard the news. Many people loved and admired his work and were deeply saddened by his passing. 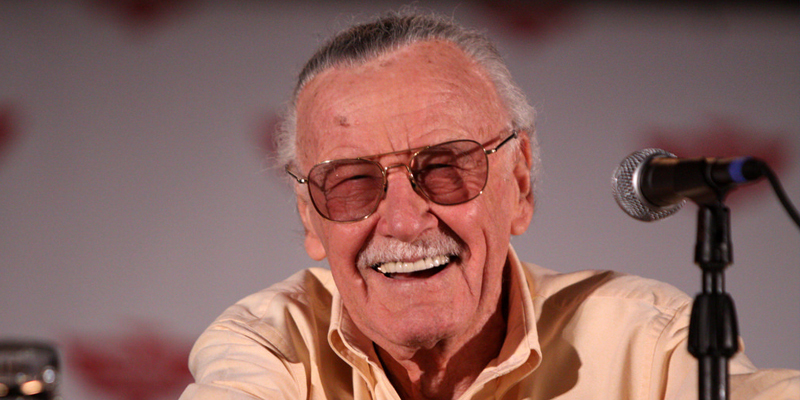 Stan Lee was born Stanley Martin Lieber on December 28, 1922. He was born in New York, to immigrant parents, and was always a talented writer. He graduated high school early at the age of 16 and went on to pursue his creative calling. He started out working in the comic book office, that would one day become Marvel comics, as an assistant. He kept with the job and ended up contributing to his first comic book, Captain America Foils the Traitor’s Revenge, in 1941. Aside from writing comics, Stan Lee created a fulfilling life with his wife Joan. Together they had their daughter Joan Celia Lee. Stan and Joan were happily married for 70 years before his wive’s passing in 2014. Stan Lee has been involved with the creation of most of the Marvel movies. These movies from Marvel Studios have been some of the most profitable. Lee created Black Panther in 1966 with artist Jack Kirby. When the film Black Panther was released in 2018, it made over 700 million at the box office. Some of Lee’s most popular comics were the Spider Man series, Fantastic Four and The X-Men. When asked, Lee has always said his favorite comic creation of his was the Silver Surfer. Throughout his life, Stan Lee was able to build himself a successful career while doing something he loved. This passion can be seen in everything he produced, and that’s probably why his work was so successful. Stan Lee, the superhero legend, will be missed by not only his family, but by all his fans, young and old. On November 2, the class of 2019 had their first senior class field trip. The senior class field trips are planned by the senior class counsel. Usually, there are about three trips a year, and they are used to promote bonding within the graduating class. This year’s first field trip was to Grand Slam. The field trip sounded fun, a day full of mini gulf and lazer tag, but that wasn’t the part some people were upset about. The field trip was announced just several days before the field trip was to take place. People were upset by the short notice of the trip, and some people felt that the trip wasn’t advertised enough. Some people didn’t even know the trip was happening. She was not the only one feeling this way. When the whole field trip was announced, students only had a couple of days to get the slip and return it back to the counselor’s office before the deadline. Even though I do see where all the frustration came from, I think we should’ve cut the council some slack. According to one of the council members, the trip was more difficult to plan than anticipated. They were trying to find other places to have the field trip, but all those places didn’t work out. Our next field trip will be during the winter and is probably going to involve a lot of snow. With all the constructive critisism they recived, I believe the senior class council will try to communicate dates and events more efficiently. 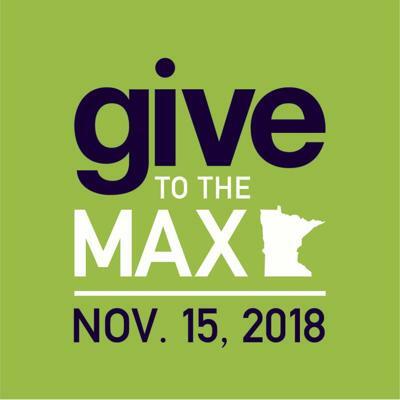 Give to The Max Day (GTTMD) is a day across Minnesota where people are encouraged to donate to non-profits and schools all over MN. This year, Give to The Max Day is on November 15th. GTTMD was first started in 2009. When Give MN, a group dedicated to making Minnesota a better place to live, launched in 2009, GTTMD was an idea they came up with to promote their launch. In the first 24 hours of their first GTTMD they raised $14 million dollars. 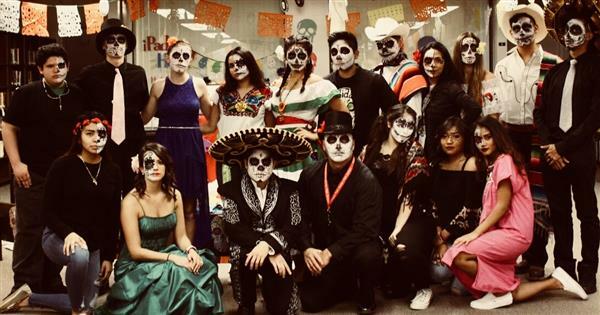 Ever since then, GTTMD had been an annual tradition. People interested in donating can visit GiveMN.org. They can search for the non-profit of their choice, or look for different causes to find a non-profit or school doing work they want to support. The minimum donation amount is $10. The site is up and available for organizations and donors to use all year long, but on November 15th, Give to the Max Day, people are encouraged to make their annual donation to help their favorite non-profits or schools win prizes. The 24-hour giving period also serves to raise awareness of the benefits of charity and raise the spirit of community giving. One way you, or your family, can support Highland Park Senior High, is to look up “Highland Park Senior High School” on GiveMN.org and donate directly to Highland. Another way for students to donate, is through the school directly. Here at Highland, the PTSA is trying to get students involved in GTTMD by hosting a fundraiser in all first period classes. Students are encouraged to donate money, and whichever class donates the most by Monday, November 20th, will receive bagels the following Monday. On November 15th, to help remind people about the event, people are encouraged to wear the color green. If you or anyone you know is interested in participating, visit the GiveMN website to make a donation.